Its unique architecture is a major innovation offering an increased profitability, an optimum ease of use and a unparalleled versatility. ALPO can excecute the same agronomical operations than a thermal 40HP tractor. With batteries that can last up to eight hours, it recharges in less than two hours ; a full charge costs around 1€. The operating cost is 10 times cheaper than a thermal tractor. 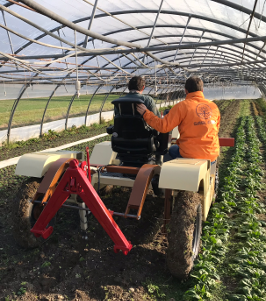 Design and production of the ALPO electric tractor dedicated to all agricultural projects (market gardening, livestock farming, field crops vine-growing, arboriculture…). 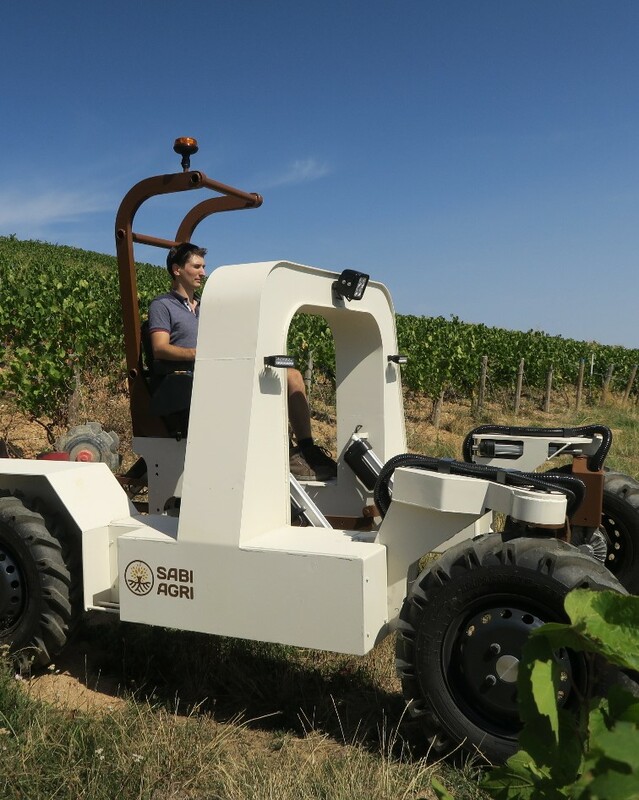 It can be used as an everyday tractor, row crop tractor or main tractor, according to the size of farm. Equiped by 2 wheels drive from 550kg. Its power is 25ch electric. Equiped by 4 wheels drive from 850kg. Its power is 50ch electric. Equiped by 4 wheels drive from 950kg. Its power is 50ch electric.